Multi-Frequency Technology (PMFT) and Simultaneous Harmonic Analysis. 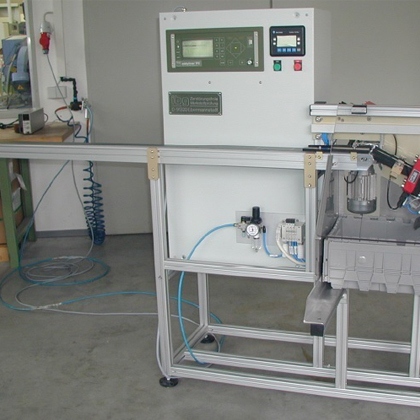 High power, modular eddy current test instrument concept with max. 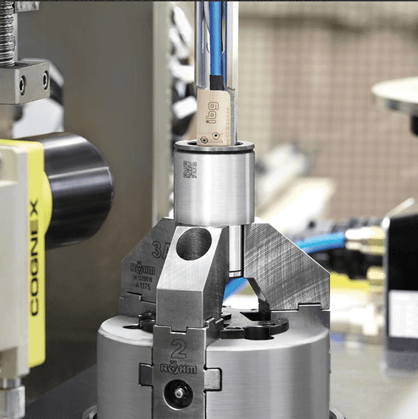 16 independent crack detection channels, max. 32 structure test channels and their combinations. The new standard for crack detection for production and laboratory. 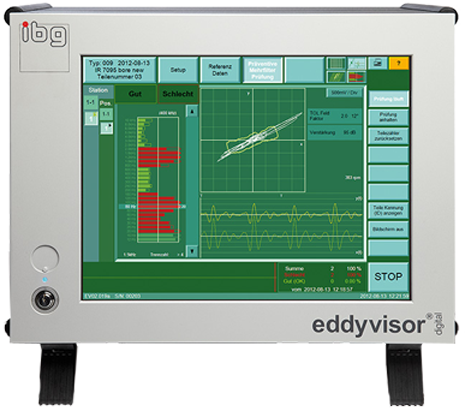 ibg NDT Systems has 35 years experience in design and manufacture of state-of-the-art eddy current testers, instruments, and systems for testing mass produced metal components. 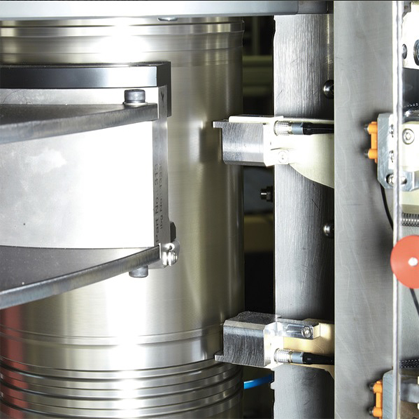 Innovations and inventions from ibg shape the market, enabling successful solutions to your most challenging testing tasks. 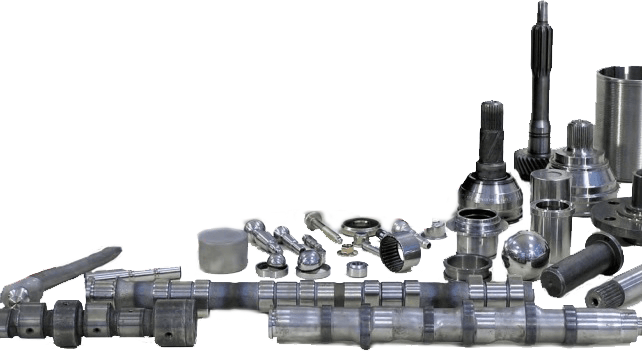 Additionally, the ongoing technical and service support of our customers is well known. 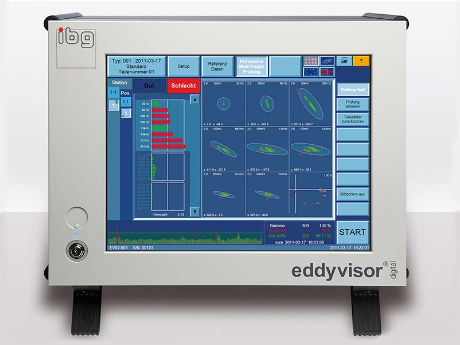 Digital eddy current test instruments for nondestructive (NDT) part testing for material properties such as hardness, case depth, case depth pattern, structure, tensile strength, heat treatment or alloy using Preventive Multi-Frequency Technology and Simultaneous Harmonic Analysis. Digital eddy current testers for nondestructive testing of metal parts for cracks, pores, grinder burn & other surface flaws using Preventive Multi-Filter Technology (PMFT) and Simultaneous Harmonic Analysis. The new ibg NDT digital crack detection instruments offer a first -- simultaneous detection of grinder burn and cracks in 100% in line testing of your production parts. 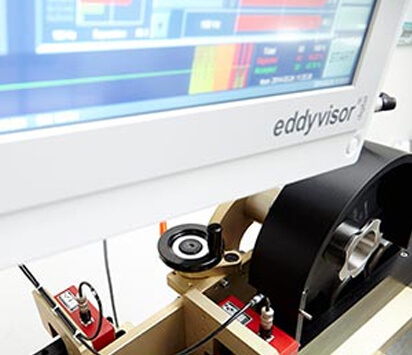 After launching our first generation of eddy current test instruments over 30 years ago, customers approached us with a request - can we supply innovative, turnkey eddy current test systems from one source. The answer was "Yes". 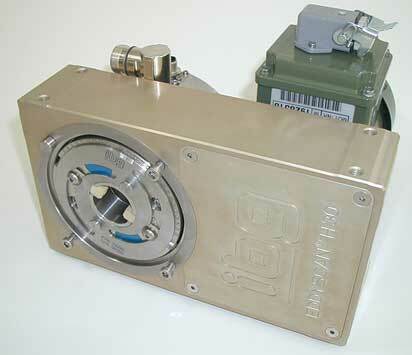 We have since developed many systems for custom applications all over the world. 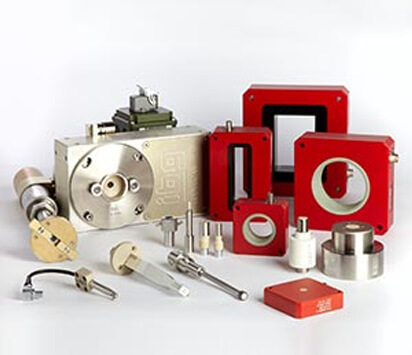 Our wide range of standard accessories includes encircling coils, rectangular coils, inner diameter coils, probes, flat coils for heat treat testing and numerous crack test probes. Customization for special test tasks is available. ibg NDT eddy current coils stand out due to their high test sensitivity and temperature stability. 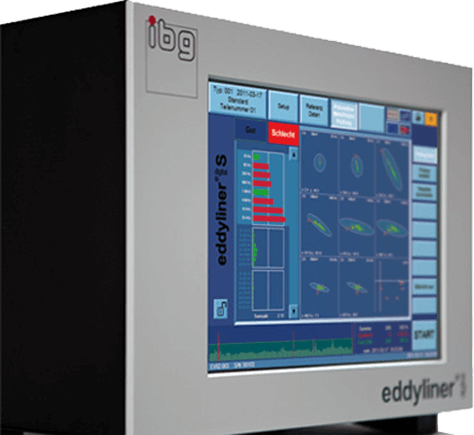 The eddy current method is well established for 100% zero defect crack and grinder burn detection on cylindrical parts. 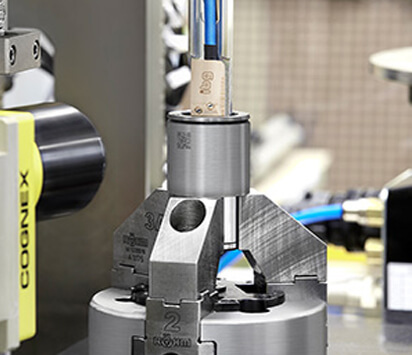 Systems utilizing rotating scanners can test cylindrical parts like rollers, bars and rods at very high test rates increasing productivity tremendously. ibg NDT has developed a line of sorting gates for use in eddy current heat treat testing and sorting of balls, rings, stamped, forged and other small components. 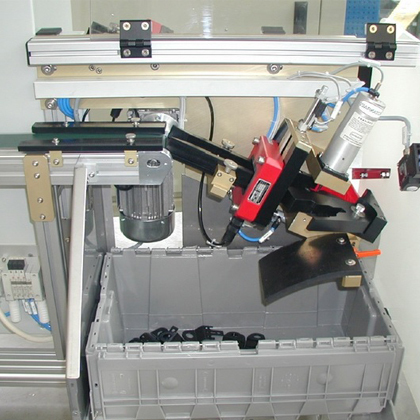 These sorting devices are designed to provide 100% testing and sorting in rough industrial environments. 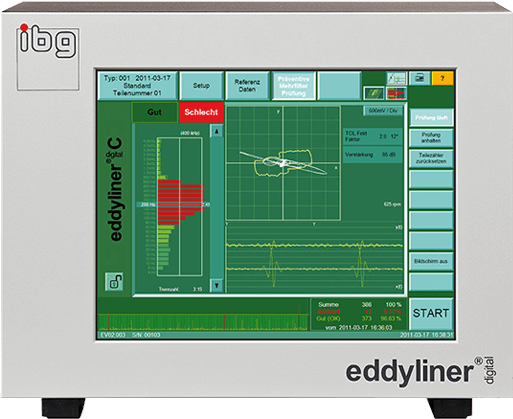 Eddy Current Testing Equipment for What?